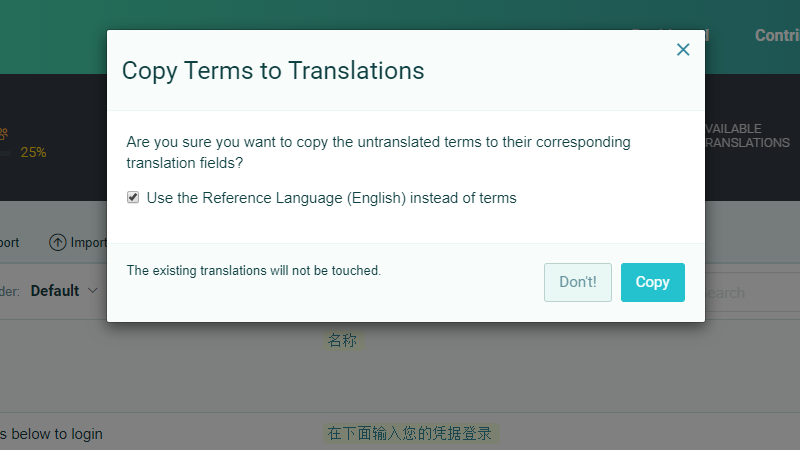 To copy the project terms to the empty translation boxes in a language, there is a feature called Copy Terms to Translations. It can be accessed using the button with the same name, in the side bar of any language page. Copying the terms doesn't alter the existing translations. If your terms are string ids/keys, check the option Use the Reference Language instead of terms, to copy the texts in the Reference Language to the empty translation boxes. Contributors do not have access to the Copy Terms to Translations feature, but they can ask the project owner or an administrator to do this. 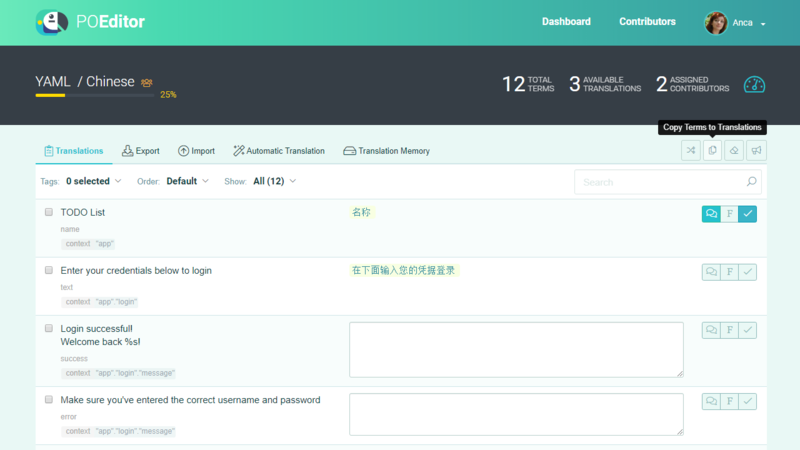 Note: As project owner or administrator, you can set in Project Settings to Export Empty Translations From a language in the localization project. This way, the empty translation boxes in all languages will be filled in upon export with the translations in that language. When exporting strings with plurals to the Android .xml format, it will also fill in the empty plural forms with translations (in the singular form) from the selected language.